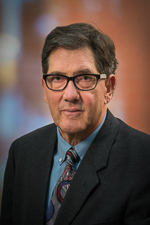 Dr. Bahler is an associate professor of pathology at the University of Utah School of Medicine. He is certified by the American Board of Pathology in clinical pathology, with an added qualification in hematology. Dr. Bahler received his PhD in immunology and his MD from the University of Rochester. His research interests include the role of antigen receptor stimulation in the development of lymphoid malignancies.